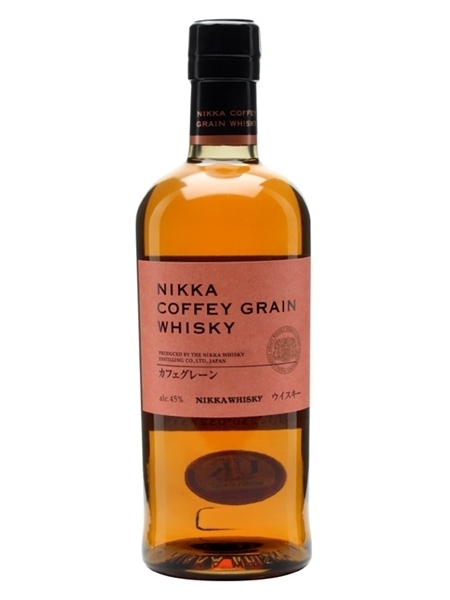 It's rare that grain whisky is bottled and sold outside of a blend, but Nikka carefully select whisky distilled mainly from corn in a Coffey still and bottle it as Nikka Coffey Grain. Nikka's two coffey stills were bought in 1963 and resident at their Nishinomiya facility until 1999, when they were moved to the Miyagikyo distillery. Nikka Coffey Grain carrys no age-statement and is bottled at 45% ABV.